Initiated by IASH for the Being Human 2015 festival of the humanities #untoldedinburgh is an online, Twitter & Instagram generated exhibition of images featuring Edinburgh’s abandoned places, ruins, urban quirks and contested spaces. Participants tweeted their photos using the hashtag #untoldedinburgh and the New Met then collated these images into an online gallery displayed from the 19th of November 2015, and for one night only, at the National Museum of Scotland. To launch the online exhibition, IASH present a panel discussion titled Lost+Found in partnership with the National Museum of Scotland. Join us for a special evening event where our panel will discuss the exhibition and debate what it means to inhabit Edinburgh today. Edinburgh, like every city, is a divided one. The digital exhibition Lost + Found in Edinburgh, hosted by The New Metropolitan web magazine, features the city’s vacant spaces, ruins and urban quirks. Including a virtual map of hidden places through the eyes of its people, it will interpret, contextualise and politicise Edinburgh today. The public is invited to participate in a lively discussion with humanities researchers, architects, creative practitioners and the city’s residents to dissect what it means to inhabit Edinburgh today. 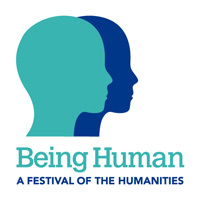 By grounding our imagination and lived experience in humanities research, they will explore the often ignored divisions across Edinburgh, thereby responding to the contradictions and inequalities of contemporary urban citizenship. This event is a partnership with The University of Edinburgh’s Institute for Advanced Studies in the Humanities (IASH), the National Museum of Scotland and The New Metropolitan.